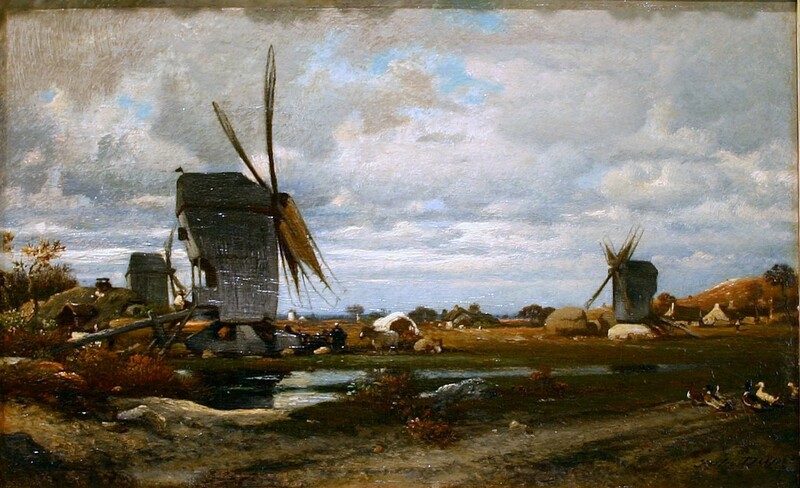 Jean Dupre, Les Moulins a Vent (1835). Even with such low technological capacity, early 19th century France had won the battle against famine. I was really lucky recently to be invited to speak to the Global Scholars Network Conference at Rhodes House in Oxford. The event was a way of getting together postgraduates studying on international scholarships, such as the Rhodes and the Fulbright, from across the UK, and allowing them to discuss some of the big issues in today’s world. The theme was the challenges humanity might face over the next 30 years – so, being the thoroughly difficult sod that I am, I decided to talk about the last five centuries. My question was whether we might look back to the past to give us some sense of whether humanity might be able to tackle to problem of famine. Most of the famines that humanity has experienced have taken place in the pre-industrial past, so it seems to me that looking back is the only way of looking forward, at least in this case. And unlike, say, political events, famines do show quite considerable continuity even over long periods of time. Essentially, my contention was that History gives us great cause for optimism, for by the nineteenth century most of the societies of Western Europe had stopped suffering peacetime famines. This was achieved despite these societies having a fraction of the technological capability of the modern world, and despite the fact that – unlike poor countries today – they had no rich neighbours able to send help. Astonishingly, England suffered its last famine in 1623, nearly four hundred years ago. If the age of Charles I and Oliver Cromwell could defeat famine, then surely our own world can too. The roots of this success, I suggested, lay in a combination of economic growth and robust welfare regimes. England, the first country to escape famine, was also the first country to instigate a national system of social welfare (which probably became fully established in the 1630s – surely not a coincidence). It was also a society that was, by the seventeenth and eighteenth centuries, becoming increasingly wealthy. Unlike some scholars, I see global trade and the development of capitalism (whatever that is) as major positives: they meant that food markets became integrated, helping societies to absorb weather shocks better, and they – most fundamentally – made societies wealthier. Famine is a social disease of poverty, and Europe was becoming less poor. But I also suggested that the proceeds of such economic growth and liberalization need to be shared widely across society to ensure that the poorest are protected from hunger. Hence the need for strong welfare programmes. I didn’t get the chance (it was a short paper…) to talk about the important issues of chronic malnutrition, and the present-day allocation of food resources, and these are omissions I regret. Amartya Sen once argued that the fear of famine felt by the government of late 20th-century India, which encouraged it to hoard food for use in cases of acute shortage, actually worsened the problem of chronic malnutrition by elevating the price of grain. At the same time, much of the reason, perhaps the main reason, we still have hungry people in this world – despite our historically sky-rocketing wealth – is that some societies consume (and waste) such astonishing amounts of food. It is perhaps these questions of how to ensure the fair and efficient allocation of food, both over time and over space which will be the major challenges for the next thirty years, even if we manage to avoid any future famines. And these are questions which, I hope, historians will help us answer. You can see the text of my paper here.